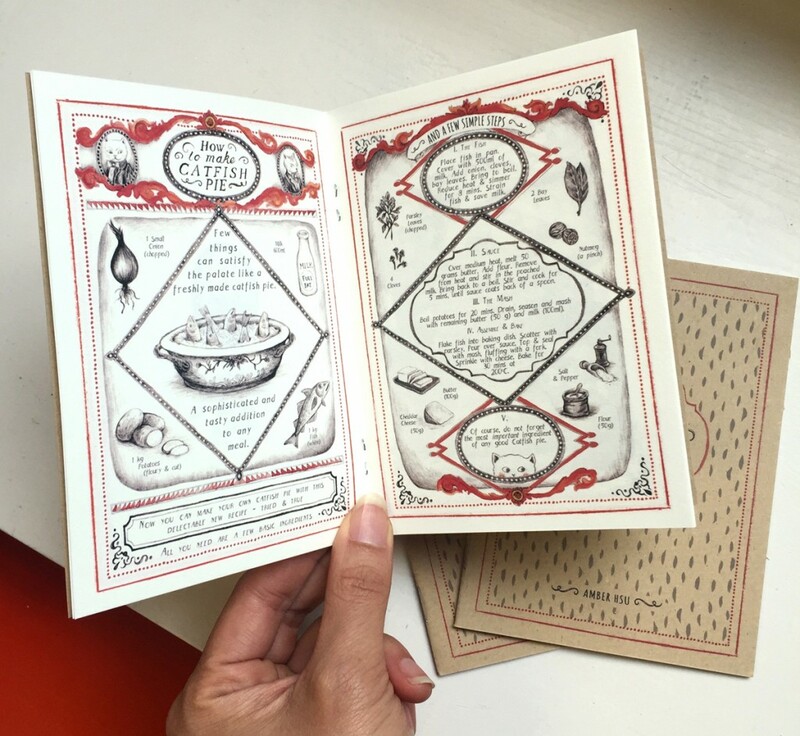 A handmade recipe comic minizine featuring a tried and tested recipe for fish pie with a little sprinkling of cats for good measure. This comic was originally made for the “Comics in the Kitchen” exhibition at Orbital Comics organised by the lovely Camila Barboza. It was inspired by nursery rhymes and vintage cooking guides and children’s books. You can order these from at the etsy shop @studiohsu. 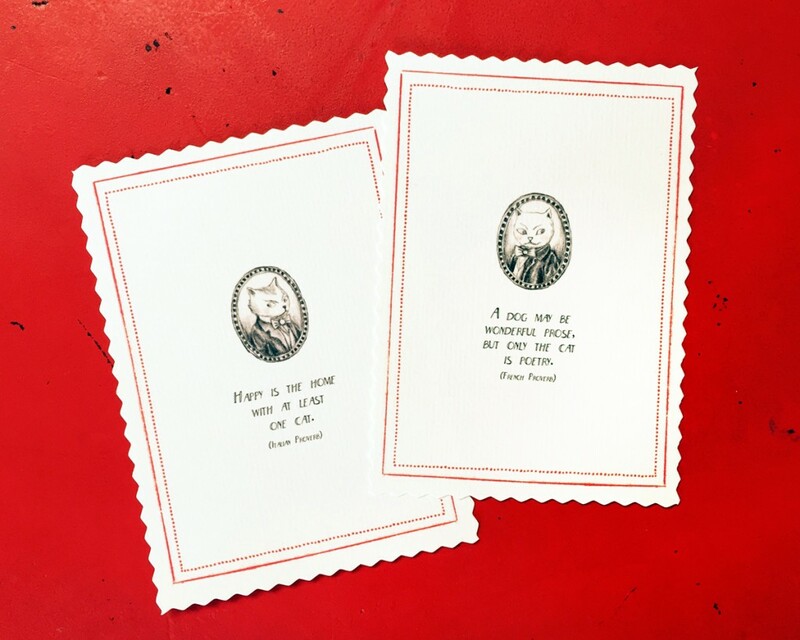 All orders from the online shop also come with your choice of one free miniprint! 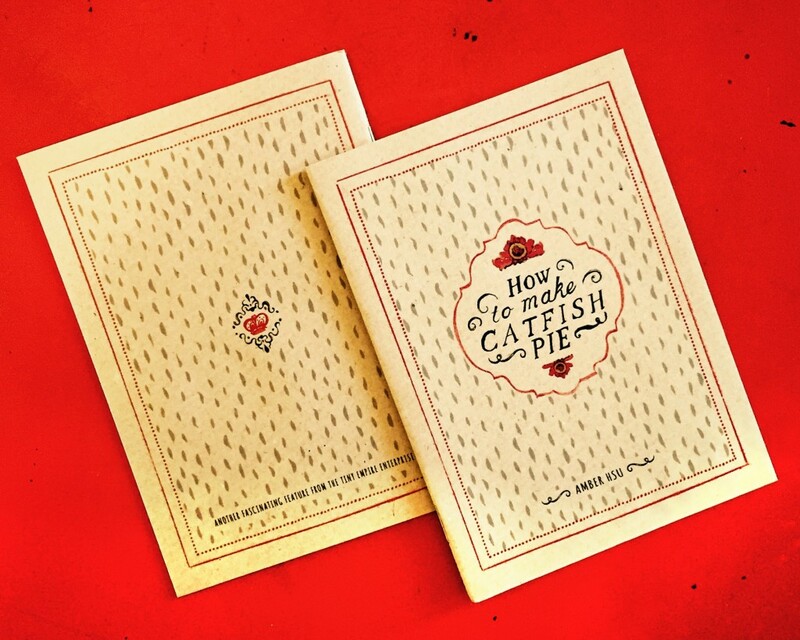 Tagged camila barboza, catfish pie, comics, comics in the kitchen, orbital comics, recipe.